Today's blog post is the seventh of many interview previews of performing choirs for PODIUM ON THE EDGE taking place from June 28 - July 3, 2018 in St. John's NL. 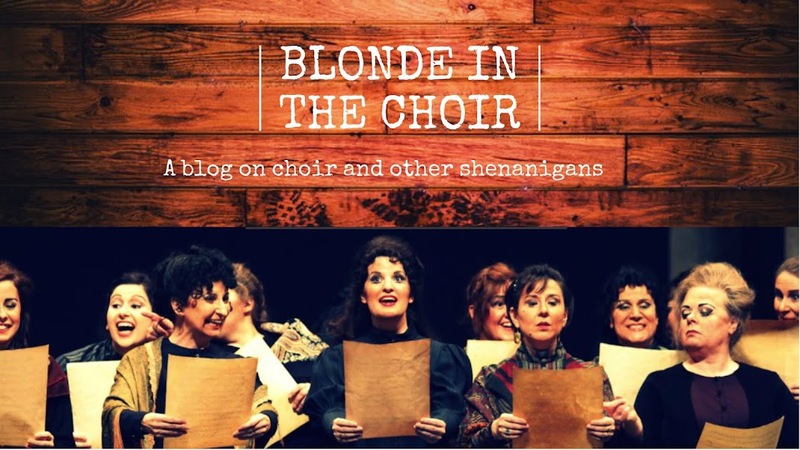 Check out my previous blog posts with The University of Redlands Chapel Singers,Toronto Children's Chorus, Les Petits Chanteurs du Mont-Royal, Capital Chamber Choir, The Oakville Choir for Children & Youth, and Elektra Women's Choir ! 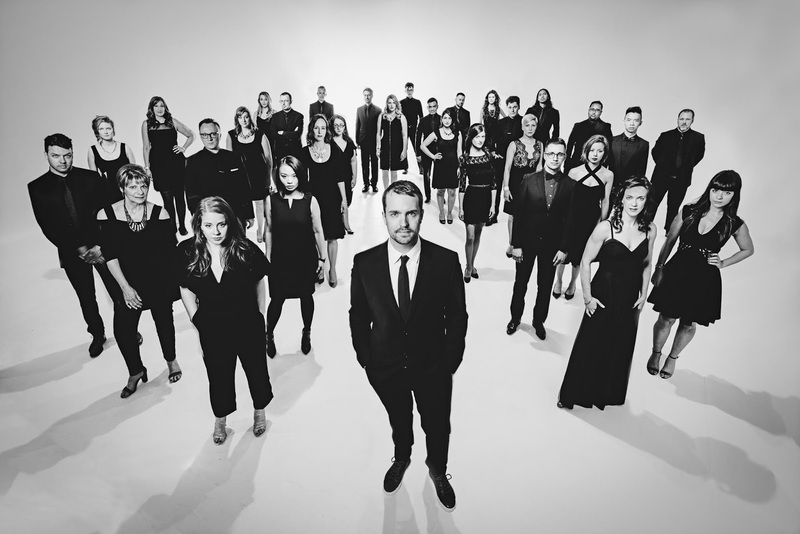 Celebrating their 10th Anniversary season in 2017|2018, That Choir is one of Toronto’s most exciting a cappella ensembles, combining high-calibre performance with storytelling through choral music. Founded in 2008 by Artistic Director Craig Pike, That Choir now draws together close to thirty-five auditioned singers with diverse backgrounds in culture, work and study. 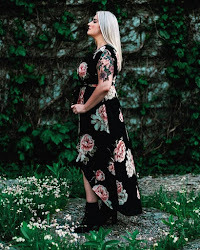 Each season, That Choir presents a four-concert series of contemporary choral works, undertakes a range of professional development projects, and appears at many local and provincial music festivals and arts events. Recent appearances include being the featured choir with international touring concerts: Game of Thrones Live Concert Experience, Hans Zimmer Live on Tour 2017 (both at the Air Canada Centre), and The Legend of Zelda Symphony of the Goddesses at the Sony Centre for the Performing Arts, and a joint performance with the Orpheus Choir at the Nordic Light Festival (celebrating the music of Latvian composer Ēriks Ešenvalds). Honouring their commitment to supporting the works of Canadian composers, the ensemble recently launched the New Works Development program, led by Composer-in-Residence Matthew Emery. This workshop program is dedicated to the development of new choral compositions by emerging Canadian composers. The program curated three new works that received their world premieres at That Choir: Borealis in May 2017. CP: As with any performing group, it’s those who are a part of the ensemble that make it unique! That Choir now draws together over thirty auditioned singers with diverse backgrounds in culture, work and study who all make up the fabric of our ensemble. It is also our goal to share our passion for choral music with the arts community and to inspire audiences both young and young at heart. 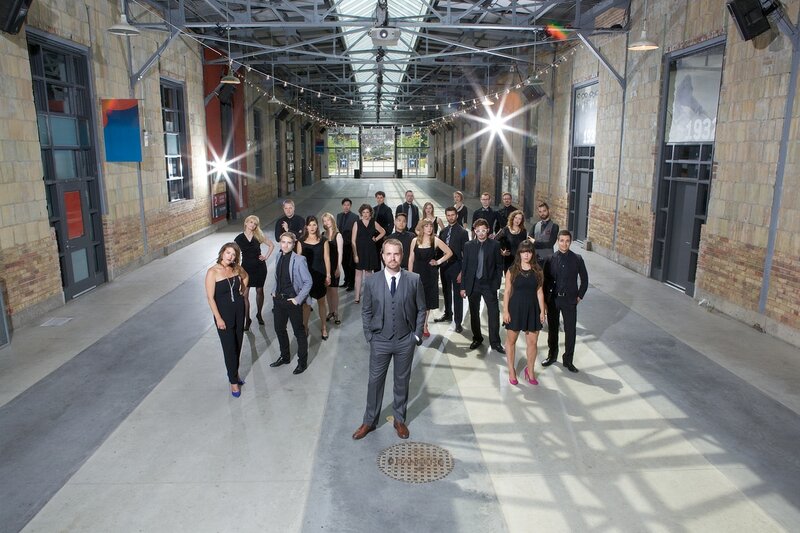 We endeavour to reach not only the established choral community in Toronto, but to encourage new audiences to experience the art of a cappella choral singing through contemporary choral music (often written within the past twenty years). CP: This year, we celebrated our 10th Anniversary Season! Recent highlights include being featured choir for international touring concerts: Game of Thrones Live Concert Experience, Hans Zimmer Live on Tour 2017 (both at the Air Canada Centre), and The Legend of Zelda Symphony of the Goddesses at the Sony Centre for the Performing Arts. Additionally, we performed at the annual City Carol Sing at Yorkminster Park Baptist Church in support of local food banks, and most recently performed with the Orpheus Choir of Toronto during their Nordic Light Festival celebrating the life and works of renowned Latvia composer Ēriks Ešenvalds. The highlight of the concert was the joint performance of the Canadian premiere of his Nordic Light Symphony. Along with producing our own series of concerts and cabarets and recording a 10th Anniversary CD, this was our busiest season yet! CP: Audiences will see a tight-knit ensemble of singers performing an exciting combination of contemporary choral music featuring the works of Eric Whitacre, Paul Mealor, and Ēriks Ešenvalds, along with the premiere of a newly commissioned piece written by our Composer-in-Residence, Matthew Emery (based on Newfoundland folk song She’s Like A Swallow). They will also see our unique take on the performance of these works, and how excited we are about performing them! CP: Podium has an extremely important role in the world of Canadian choral music. Not only is it an opportunity for Canadian choral musicians, conductors, teachers and scholars to come together to talk about and perform Canadian choral music, but it provides an opportunity for these works to be heard on a national stage. The more support we can give to young emerging Canadian composers, the more Canadian choral music will thrive - and what better way to showcase their work than at Canada’s biggest choral conference and festival! CP: Promoting the works of Canadian composers is a big part of our mandate, and we think it should be for all choirs in our country. We’ve got some exciting choral music coming from our nation’s choral composers! We recently developed a workshop program dedicated to the development of new choral compositions and have premiered several works in the process. It has been rewarding to be able to support the work of young emerging Canadian composers, and it has inspired us to expand our program in the future. 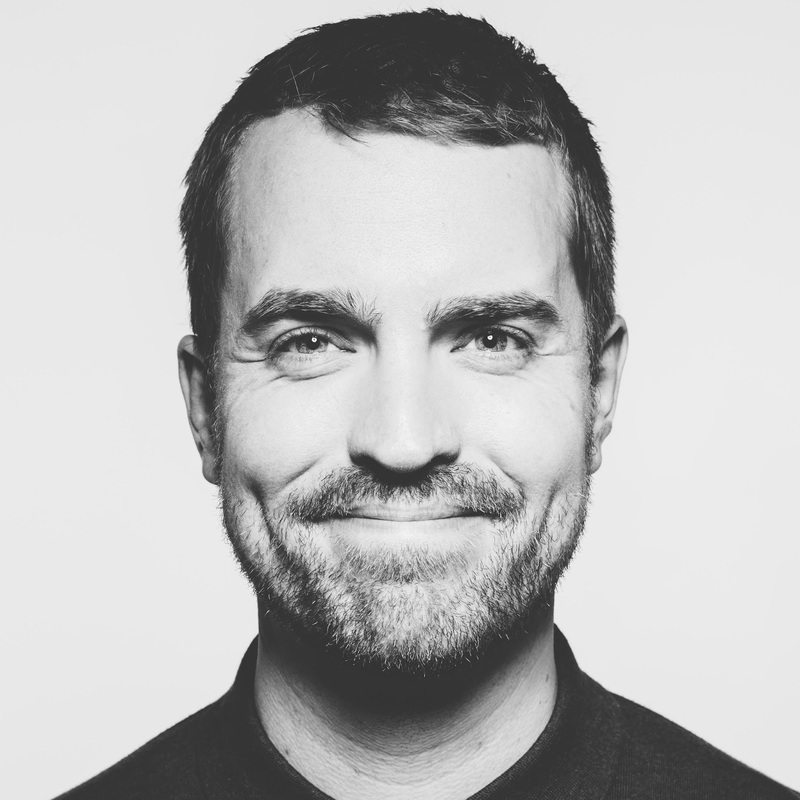 CP: There is lots to consider when programming repertoire - from the kinds voices you have in your choir, to ensuring you program a wide variety of music (always including Canadian repertoire!). I also try to choose pieces we know and love, along with works that will present a challenge to the singers. CP: I (Craig) began my relationship with choral music while singing with the choirs of Holy Heart of Mary High School in St. John’s, Newfoundland under the direction of my mentor Susan Quinn. I then sang with the Memorial University of Newfoundland Chamber Choir and the internationally-acclaimed Quintessential Vocal Ensemble. In 1996, I joined the folk choir at St. Theresa’s Church in St. John’s and by age fifteen had become assistant conductor. In 2002, after studying choral conducting with Dr. Doug Dunsmore at Memorial University, I moved to Halifax where I assumed the position of music director at Canadian Martyrs Church. My curiosity in the arts, and specifically acting eventually brought me to my studies at George Brown Theatre School in Toronto. My love of text, passion for choral singing, and relationships cultivated through the theatre is what inspired the formation of That Choir. CP: Some future goals for the choir would be to continue expanding our audience base - to continue reaching those who have supported us along the way, and to inspire others to come and hear what contemporary choral music is all about. We are also looking to continue working with young emerging Canadian composers through our New Works Development program. We look forward to seeing what our next decade of choral singing will bring! CP: Thank you Podium for this opportunity - we can’t wait to see and hear you all in Newfoundland and Labrador! Now, in his tenth season as founding Artistic Director and conductor of That Choir, Craig Pike has led this a cappella chamber choir to take second place in the ACCC National Competition for Canadian Amateur Choirs, numerous first place awards with the Kiwanis Festival, a successful tour and school workshop in Barrie, as well as the recording of their self-titled debut album. That Choir performs on Friday, June 29, 3:45pm at the Cochrane Centre as a Spotlight Choir for #Podium2018.